The wine stopper of the design winechiller WINECHILL, can be personalized with a custom logo. 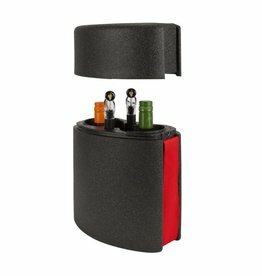 By personalizing the wine stopper it makes it perfect for brand promotions and corporate gifts, as well as for private special events such as weddings and anniversaries. 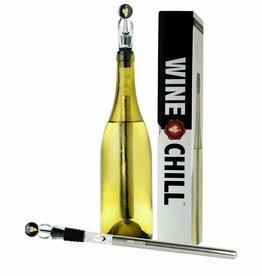 WINECHILL Original is not only stylish but it supplies the user convenience, the wine taste better and is a great gift to give or to receive! Depending on the number of products you will receive an attractive quantity discount on the price. Available from 12 pieces and only available in combination with the WINECHILL Original. Press the CUSTOMIZE button so that you can upload your logo and see how your logo can come out on the wine stopper. Afterwards, you can very simply request an offer.